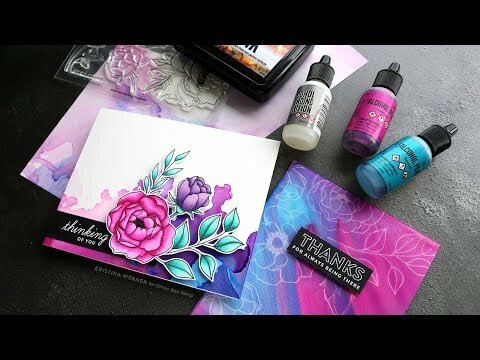 Creating alcohol ink backgrounds with the May 2019 Card Kit from Simon Says Stamp. Hello, all! I’m back with some inspiration from the May 2019 Card Kit! The kit it packed with fun Tim Holtz Alcohol Pearl Inks, so that’s what I decided to play with today.